The video presentation 'Charles Bean's Great War' is a dramatised documentary by 360 Degree Films. It offers an indepth visual record of the life of Charles Bean throughout his civil and military life. Click here to see more details about Charles Bean Great War Military DVD. 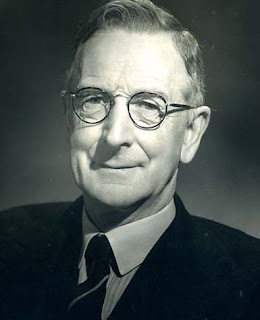 Charles Edwin Woodrow Bean was born on the 18th November 1879 at Bathurst, New South Wales. Bean’s family already had military connections, in that his Grandfather was Surgeon-Major in the army of the East India Company. In 1889, Bean’s family (due to his Father’s ill health) moved back to England, which afforded Charles a great opportunity for education. He was fortunate to gain a scholarship to study the Arts and then Law at Hertford College Oxford. Having completed his education, he returned to Australia in 1904 where he was admitted to the New South Wales Bar. Bean preferred writing to being a lawyer. In 1907 he wrote a book, ‘Impressions of a New Chum’ it was never published as a single volume but the Sydney Morning Herald published some parts. He found a friend in Banjo Patterson who advised him to go and work at the Herald. So in 1908, Bean joined the Sydney Morning Herald as a junior Journalist. This change would make a monumental difference to the rest of his life. In this early period, he had success in publishing several books, With the Flagship in the South (London, 1909) On the Wool Track (London, 1910) The Dreadnought of the Darling (London, 1911) and Flagships Three (London, 1913). Many of these books had a military theme and he had become very well known for his newspaper articles connected to the escalating conflict in Europe. At the onset of World War One the British Government asked the dominions to nominate an Official Correspondent to their Contingent. The selection of Australia’s Correspondent was to be decided by the Australian Journalists Association. They decided to conduct a ballot to select who would become the official correspondent with the AIF. It’s interesting, that Charles Bean narrowly won the position from Keith Murdoch, their paths would cross many times in the coming years. Bean sailed with the first Australian Contingent to Egypt in 1914. 13th May 1915. This allowed the English correspondent,Ellis Ashmead-Bartlett to make the first Australian Newspaper reports of the famous 25th April 1915 landings. During the 1st week in May, Charles Bean accompanied the Australian 2nd Infantry Brigade and the New Zealand Infantry Brigade south to Helles so that they could take part in the Second Battle of Krithia. He proved himself courageous in the front line at Krithia when he helped wounded infantry off the battlefield. He was actually recommended for the Military Cross medal but was denied the award when it was deemed that he was a civilian. During the August Offensives, on the 6th August a stray bullet hit him in his right leg. He refused to leave Anzac nor to have the bullet removed so he lay in his dugout for three weeks while his wound healed. The bullet remained in his leg the rest of his life. He was the only correspondent to remain at Gallipoli for the entire time of the occupation from the landing to the evacuation. During the Gallipoli Campaign he edited The Anzac Book (London, 1916), which was a collection of Australian digger trench stories and cartoons. It was published in 1916, the proceeds to benefit returned soldiers. The book is very popular to this day and was recently reprinted in its third edition by the Australian War Memorial. Bean continued his reporting during the period 1916-1918. Throughout the Western Front he made himself present at most of the major Battles undertaken by the AIF. Most importantly, he conceived an idea of a memorial to the Australian fallen and he established his War Records Unit which was to collect battlefield relics and memorabilia from the various Battles. He continued to publish, Letters from France (London, 1917) and In Your Hands, Australians (London, 1918). After the war his first passion was not to return to Australia but to go back to Gallipoli to make a study of that Battle location. His adventure was latter published in his book Gallipoli Mission (Canberra, 1948). He returned to Australia where in latter 1919 he took up residence at the homestead at Tuggeranong near Canberra. There he was to create the monumental The Official History of Australia in the War of 1914-1918 from his many hundreds of wartime diaries, notes, memory and soldier related information. In 1921, he married Ethel Young with whom he had played tennis at Tuggeranong. At the start of World War 2 he wrote a pamphlet, The Old A.I.F and the New (Sydney, 1940). Bean was instrumental in the development and construction of the Australian War Memorial which opened in 1941. One of his last major works was the one-volume abridgement of the The Official History of Australia in the War of 1914-1918 which he titled Anzac to Amiens (Canberra, 1946). In latter years he held senior positions with the ABC. He died in 1968 at Concord Repatriation General Hospital aged 88.